Custom Made In The USA With 7 Upholstery Options & 6 Wood Stains! 110% LOW PIRCE GUARANTEE! - If you find a new customizable Kestell poker table listed on any eccomerce website at a price lower then PokerOutlet.com's, we will beat their price by 10%! If a lower price is found within 30 days after your purchase with PokerOutlet.com, we will refund you 110% of the difference in pricing of your Kestell purchase!! 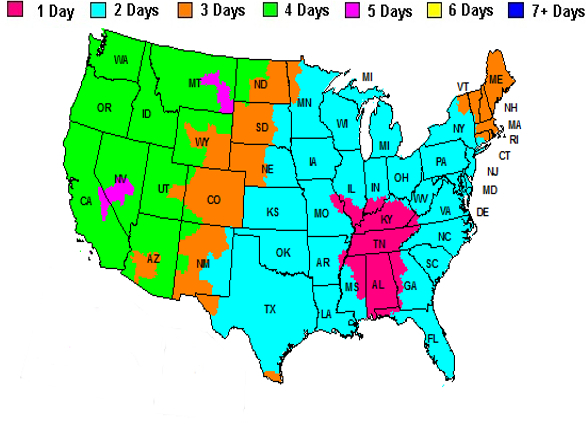 (price comparison is total cost of your Kestell purchase, including any shipping and taxes charged by competitior). Poker table shown in Walnut finish with Green Nylon Felt upholstery. Chairs sold separately here. 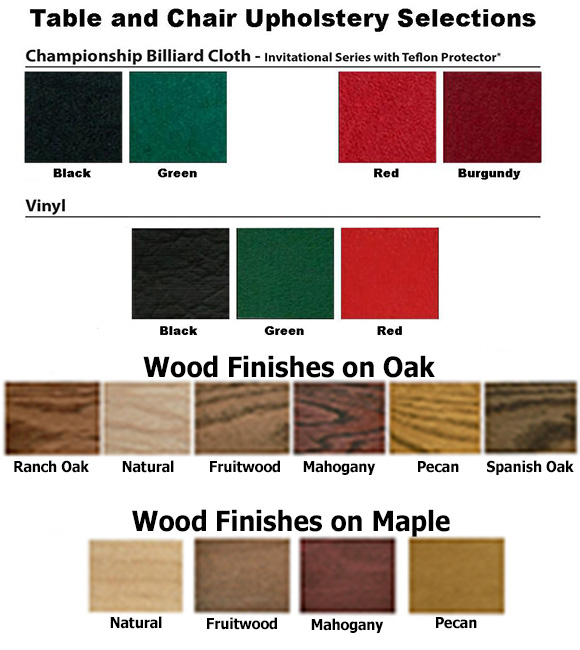 Top of the line 57" pedestal base poker table comes in your choice of either Oak or Maple with a wide variety of popular finishes and upholsteries. 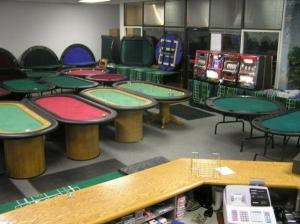 Poker table measures 57" across (52" side to side) with a height of 29 1/2". This beautiful pedestal based poker table will be the center piece of any game room and last you a lifetime. It seats 8 comfortably, with 2 cup holders and a chip tray for each player. Table weight is 105 lbs (70lbs top + 35lbs pedestal). Table delivered in 2 fully assembled pieces. Because of its size and weight, this poker table must be shipped by truck. 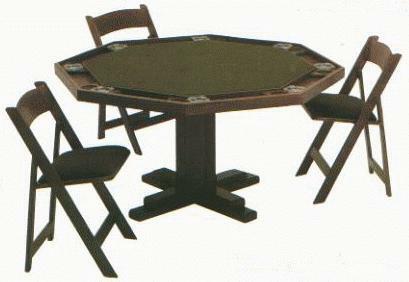 Add a Deluxe Service Top and turn this "poker" table into an "anytime" table! 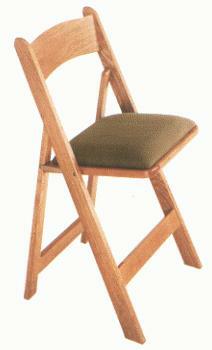 Don't Forget Matching Oak/Maple Folding Poker Chairs and make it a set! Copyright 2018 [PokerOutlet.com]. All Rights Reserved.